To achieve healthier and more luminous results Soulstyle Organic Hair use the Italian brand called Colour Herbe – a reputable product range that utilises proteins, botanicals and natural vegetable extracts as well as organic clay lighteners for blondes to lighten pigments without damaging or stripping hair. 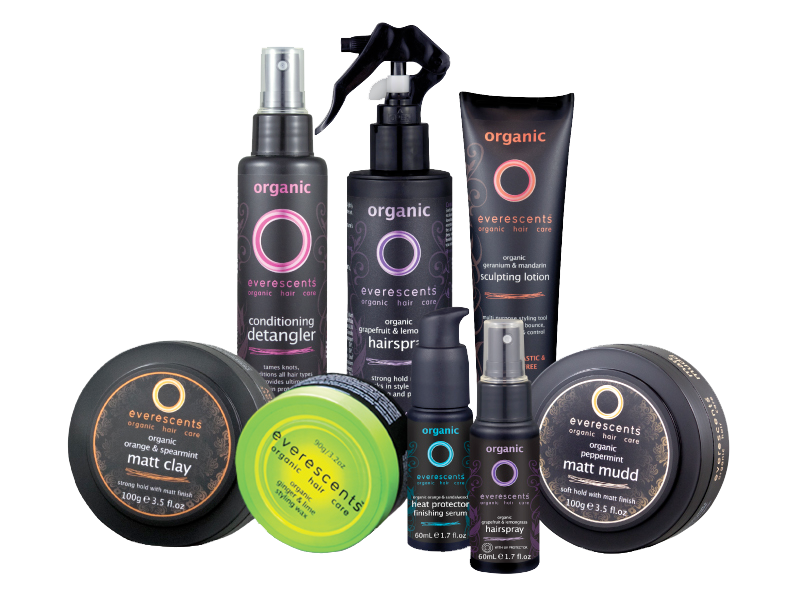 Being a conscientious hair salon – the concern for our clients health and well being goes beyond the hair products we use, at Soulstyle Organic Hair you will be treated to a range of organic teas, coffee and milk and even the cleaning products used in the salon all proudly boast the use of organic ingredients. Extra $20-$60 for mid lengths to ends. Pricing may vary according to thickness & length. SoulStyle customers enjoy many irresistible benefits of organic hair care. EverEscents offers a pure and natural ORGANIC hair care range that is plant based using certified organic ingredients. EverEscents organic shampoo, conditioner, treatments & styling products are available to purchase in our online store or in the salon. have been a customer since last October, after being referred by a colleague. Service is fabulous, cuts are great and products are all so nice on your hair. I also love the peaceful surroundings and looking through the mirror at the mountains. For the past year I have been striving to cut all chemicals out of my home, including beauty products. I would never turn back to chemically treating my hair again. The colour I get is better than chemicals and my hair is so much healthier!Soulsytle you have a customer for life!! P.S the head massages are to die for!